I am in a short sleeved short. Tomorrow it will be a T-shirt. I am not trying to make you jealous but though it is mid October it is jolly hot. As I drove along the Kalamata sea front earlier the beaches were well populated. Folks were swimming. It is lovely. 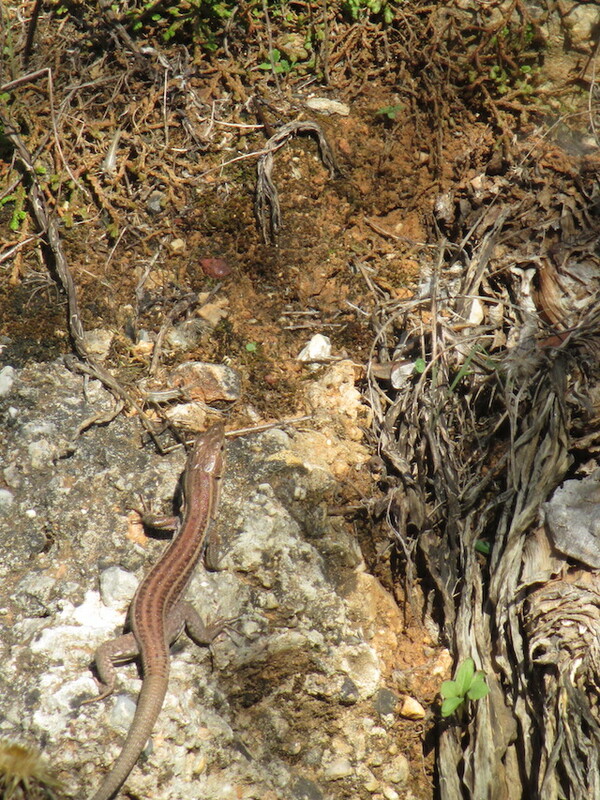 there are lizards everywhere. My old saying is that where there are lizards there are snakes. But from memory, and fingers crossed, the snakes start to hibernate well before the lizards and you do sometimes see lizards even in the winter. Anyhow, here is one chirpy fellow I spotted sun bathing on a wall on the way from the Hovel down towards snake hill.